1) Petal People You Make Yourself (Klutz) - comes with 'ingredients' to get you started. 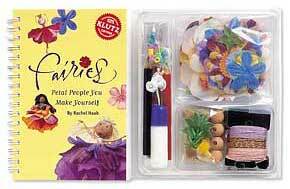 You can also get mini kits to make flower ballerinas, angels and fairies. For UK enquiries, if you Google KLUTZ you'll find the main online shop for KLUTZ products in the UK. 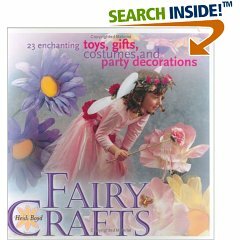 2) Fairy Crafts by Heidi Boyd (David & Charles) . Full of flower fairies and lots of other fairy goodies.